Video has recently and will continue to be a mega trend on social media. So what does this mean for your brand? It means that there is a massive audience out there, but their expectations for the quality of video experiences are getting higher each day. If done correctly, quality video can pave the way to success for your brand. However, not every social media platform uses video the same (this is not a one size fits all situation) and it’s important to understand what works best on each platform. Each platform has a different style and length they prefer over all others. Some social media platforms prefer short snippets while others prefer 10 minutes or more. Playing by the rules for each platform will help you increase views and catch the attention of those online in a world where attention can be difficult to come by. Your videos should be no more than two-four minutes in length. Multiple studies show engagement tends to fall off rapidly after the two-four minute mark. Short videos that are fun and/or informative are usually the best performers on the platform. Facebook’s algorithm is all about you uploading your video directly to Facebook from Facebook. Uploading your videos to Facebook from another platform like Hootsuite, or including a video link from another source can actually hurt the success and engagement rate of your video. Your videos should be no more than 140 seconds in length. Consider using video on this platform as a way to “tease” your audience about full-length content on your other platforms and website. Your videos should be no more than 60 seconds in length, as that is the upper limit for what Instagram will support. Instagram is all about the visuals. Because of this, you need to make sure your videos are visually stunning so they can compete for viewers’ attention. Low quality on this platform can really hurt your overall brand image. Time-lapse, boomerang, rewind, and looping videos are very popular on this platform. Instagram Live is a great tool to provide your audience with a “behind the scenes” look into the day-to-day of your business. Live video also provides the human touch needed to create a relationship with your audience. People are always saying for optimal engagement, keep your videos around the two-minute mark. This has some truth to it. YouTube wants the viewer to stay as long as possible on their platform. So to do drive this idea home they reward channels that have longer content by promoting them more to new audiences. Videos over 10 minutes do wonders on this platform. It’s the sweet spot for YouTube at the moment. Use this platform for more in-depth content such as behind the scenes, a day in the life, product demos, how-to tutorials, business video blogs (vlogs), etc. This platform is also a “digital library” where you can store the videos you want on your website. 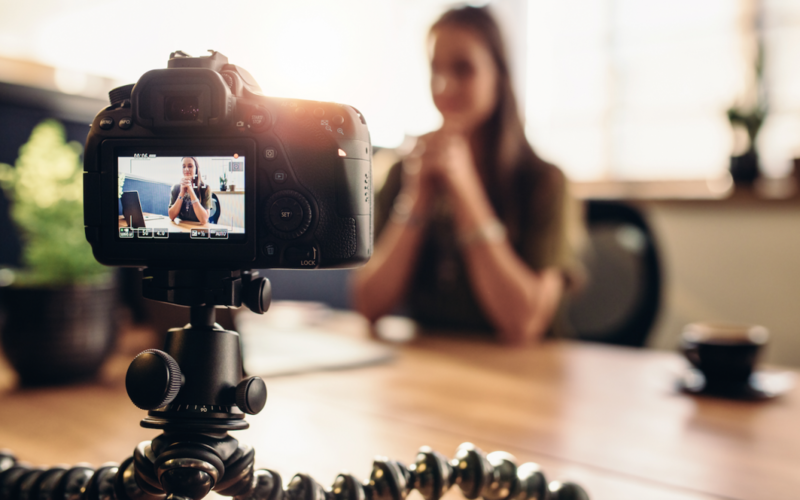 Video has the potential to tell a story for your brand and catch the attention of those online in a world where attention can be difficult to come by. Still need help? Let us help you optimize the use of video throughout your social media platforms, advertising, and website. Check out what we have been able to do for some of our other clients here.